After a long hiatus of moving and working (the truth…Amanda: “Mike, will you write a new blog for me?…Mike?”, Me:”Zzzzzzz”…at 9pm…), I’m here to grace your computer screens again! So, this blog is going to be kind of a retrospective of what we’ve been up to the past few weeks. So sit back, relax, grab a drink, and lets reminisce! Cue the Wayne’s World flashback! All jokes aside, this move has been a great relief and breath of fresh air for all four of us. 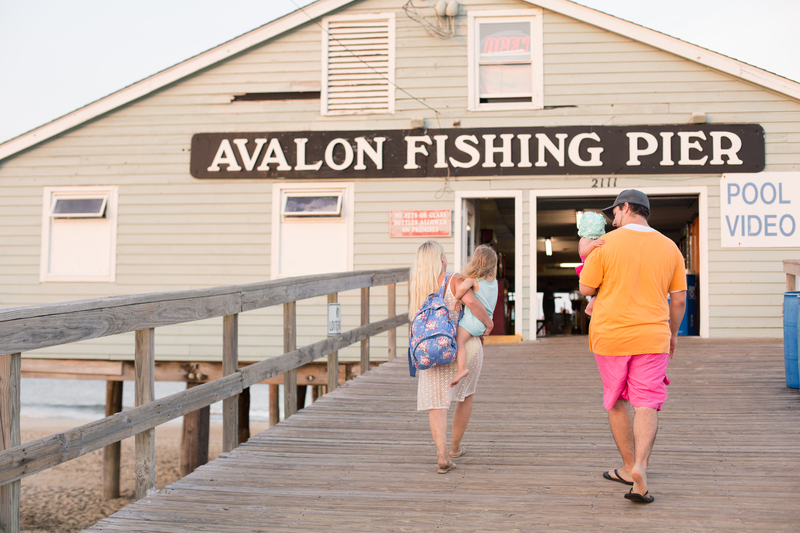 Just to give you a background on this place, our new home of Kitty Hawk: both Amanda and I spent many a time here in the OBX for family vacations throughout our childhoods (not together; Amanda and I didn’t meet until ODU). This quickly became my wife’s favorite place, her sanctuary. In 2007, after Amanda and I started dating, this place became our place to get away. We would go at least once a month, even during the winter months, just to spend time at our place of peace. Flash forward to the beginning of 2012, after our little ball of sunshine Ms. Camryn Mae was born, we added a wing-woman to our trips to our favorite place. Then, January 2014, our 3-person wolf pack became a 4-person wolf pack, and our trips (or, expeditions rather, with how much gear we would need to bring in order to be prepared for our mini-vacays) had an extra car seat in the back of our Escape. Now, we live here. We took a leap, and luckily landed gracefully on our feet in the sand. Its insane how a place, your environment, can make a complete difference on your outlook, your well-being. Most of our stresses are gone (the usual, little, normal stresses are still there and will be), and we are much more happier than we have been in a very long time (we’ve always been happy, but it’s much more now). I hope I’m happier, I’m willing to drive 1 1/2 hours to work every day! I must be happier! We have settled, and we now have our vacation spot every day. Seeing the ocean every day from your bedroom window, driving by the sea as waves crash near by. One of our favorite locations, Buxton, is only a 30 minute drive away. Tourist season is not that bad at all, traffic is really only rough on weekends for people staying at weekly rentals. And, surprisingly enough, things ARE OPEN during the fall/winter seasons; this place does not completely shut down and shut off from the rest of the world in the off season! What a relief! It’s been a busy past few months, but now we’re back to the normalcy of “home”. It’s good to feel this way, in a place like this with so many happy memories, a place that at one time was only a momentary escape.